Assam: Bhupenda’s son yet to get invitation to receive Bharat Ratna! 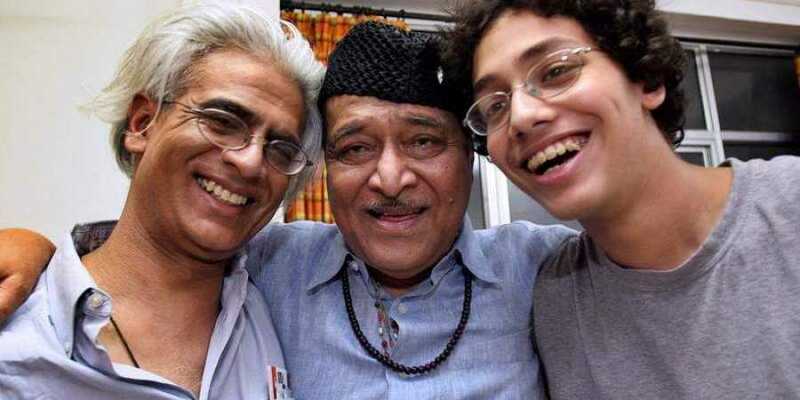 Bhupen Hazarika’s son Tej Hazarika on Monday said he is yet to get an invitation to receive Bharat Ratna for his father so far there is nothing to reject and how the Centre moves on this matter (passing a unpopular bill) far outweighs in importance the awarding and receiving of such national recognition. Tej Hazarika shared this with Northeast Now on Monday on a facebook chat when asked about his reaction to receive the country’s highest civilian honour, Bharat Ratna, conferred on his father, music legend Bhupen Hazarika, posthumously. “As the son of Dr. Bhupen Hazarika — one of the most popular and loved cultural and socio-political figures for the people of Assam and it’s neighboring sister states of India’s great Northeast — I believe that my father’s name and words are being invoked and celebrated publicly while plans are afoot to pass a painfully unpopular bill regarding citizenship that is actually undermining his documented position. It would in reality be in direct opposition to what Bupenda believed in his heart of hearts,” he said. “For his fans — a vast majority of people of the Northeast — and India’s great diversity including all indigenous populations of India, he would never have endorsed what appears, quite transparently, to be an underhanded way of pushing a law against the will and benefit of the majority in a manner that also seems to be grossly un-constitutional, un-democratic and un-Indian,” he said. “Adopting any form of this bill at this point in the manner in which it is being proffered, now or in the future, will ultimately have the sad and undesirable effect of not only disrupting the quality of life, language, identity and power balance of the region, but that of undermining my father’s position — by delivering a wreaking blow to the harmony, inner integrity and unity of the secular and democratic Republic of India,” said Tej Hazarika. “Bharat Ratnas and longest bridges while necessary, will not promote the peace and prosperity of the citizens of India. Only just popular laws and foresight on the part of leadership will. Numerous media journalists are now asking me whether or not I will accept the Bharat Ratna for my father. I go on record here to anwer that A), I have not received any invitation so far there is nothing to reject, and how the Center moves on this matter far outweighs in importance the awarding and receiving of such national recognition — a display of short lived cheap thrills,” he added. Earlier, it was reported that Tej Hazarika was unwilling to accept Bharat Ratna as a mark of support to the ongoing protest against the Citizenship (Amendment) Bill, 2016.